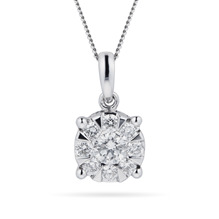 From the Goldsmiths exclusive collection this ring is sophisticated, stylish, and perfectly equipped to make a lasting impact wherever you go, this 9 carat White Gold 0.50 Carat Total Weight Diamond Multi Stone Pendant will take you from day to night with effortless ease. 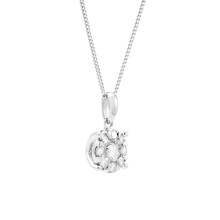 Featuring a delicate chain and an endearing 9 carat white gold finish, this forever multi stone pendant has been beautifully crafted to complement and enhance your favourite ensembles, no matter what the occasion. 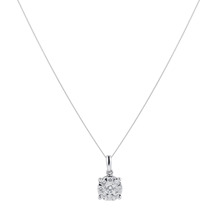 Using a new state of the art setting technique to create a much larger visual appearance taking you from the office to the bar, this stunning diamond pendant is sure to become a welcomed addition to your jewellery collection.